Just take a look at these amazing photos from Rosedale Court care home in Rayleigh, Essex. Staff and residents witnessed the safe arrival some beautiful Easter ducklings into the world. 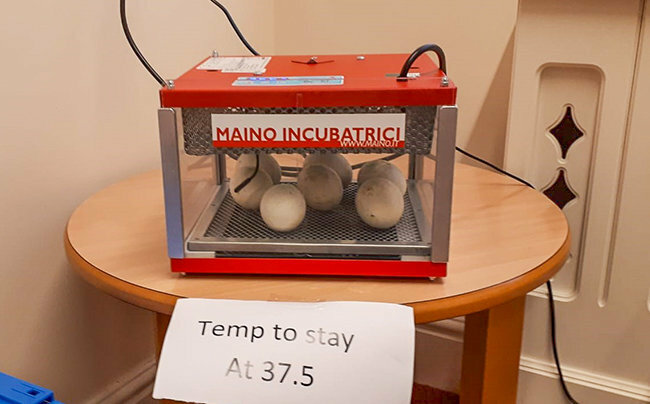 They kept the duck eggs in a warmed incubator until they hatched and they’re now being given plenty of warmth, food and water to flourish into fully grown ducks to keep as pets in the garden at the home for residents, staff and visitors to look after and enjoy. Rosedale Court is a residential care and nursing home in Homestead Close, Rayleigh, Essex. This ‘Good’ care home, as rated by England’s Care Quality Commission, provides round the clock care and nursing care for older people, including those living with dementia. Rosedale Court also offers short care breaks and reablement. For more information about Rosedale Court please contact us using the buttons below these photographs.